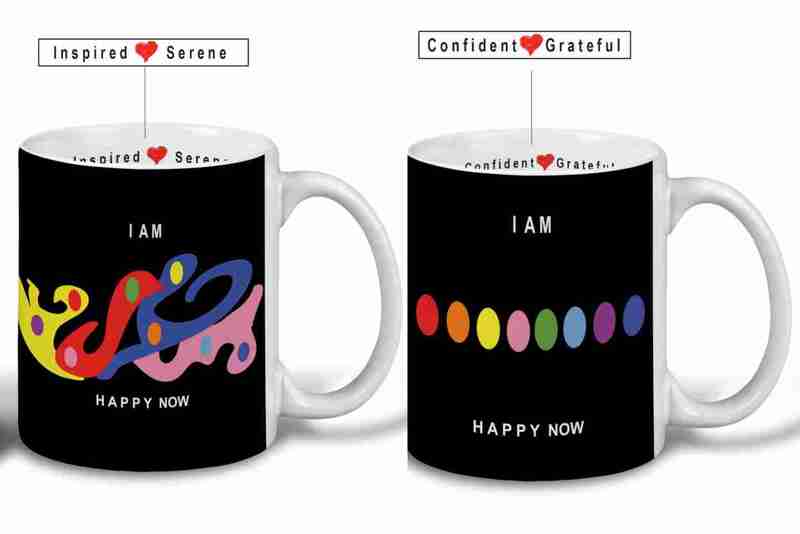 Superior quality ceramic 11 oz mugs that help you start each day with a happy mindset. Sip your way to be "Inspired and Serene" and "Confident and Grateful" with SET ONE or be "Brave and Passionate" and "Kind and Loving" with SET TWO. These affirmations will contribute to helping you be happy now! Buy either set or choose just one HAPPY MUG!